The long anticipated Monkey D Garp's Raid Boss has arrived!! 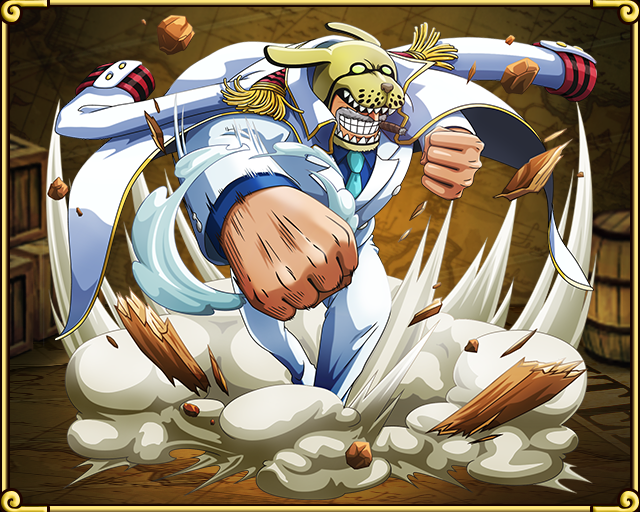 Monkey D. Garp is an extremely powerful unit for PSY Teams and is arguably what makes them playable at this point in time. 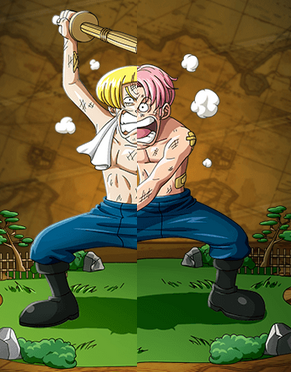 There is an UPDATED Garp Guide (click here)! Only one version of this island exists - 40 Stamina and Garp is a guaranteed drop. 2 Mobs every time - Note the Attribute of the mobs may change. Depending on their turn order and your team, you generally can stall for 1-2 turns here. The Elder Seahorse with 5 Armored Mobs. The Turtle is nice and tanky at 29 HP which means tons of potential stall turns if you want/need it. 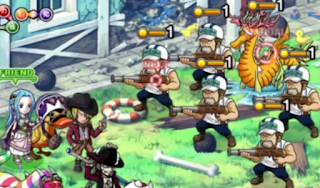 The reason why double Monkey D. Luffy Gear 3 is NOT recommended for this island. This means that if you do not kill both the Marine and Coby within 2 turns... You'll be taking a fist full of damage. Fortunately both of them aren't very tanky... unless you have 0x ATK boost (cough Gear Third/Vivi teams). 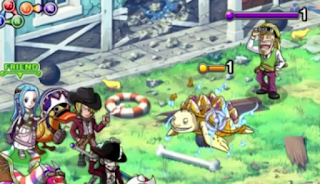 Coby has the attack pattern of spending 1 turn to boost his ATK (like Monster Chopper) before hitting for 12,000 damage. The Marine hits for a lot lower 1,104 but can be handled with 2 Captains (even Tank teams) without much difficulty. Monkey D. Garp will preemptively put up a debuff protector for 999 turns. This means that any poison, turn delays etc. will not work. 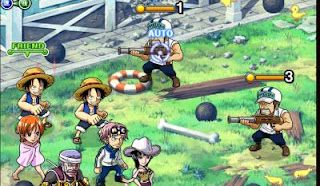 As such, most teams will have around 5 turns to burst/kill Garp. Or you'll tank too much damage to deal with. Every team is recommended to have a strong damage reducer like Alvida or Smoker to block the 4th hit. 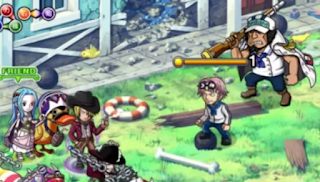 "Tank Zoro"/Vivi teams - You need a damage reducer for the 18,000 damage hit. If you do not reduce it properly, you will lose. Some Teams are recommendations submitted from the GameWith community. All recommendations are using Global-only units. The reason why the "Reduce all enemies' health by 30%" is highly valued in the game. A Mihawk team can reduce Garp's health by 1,050,000 without doing much. Follow this with a 6.25x boost and enough damage reduction to tank through Garp's damage. The reason why Whitebeard is considered the strongest is because he can clear everything. With double Whitebeard's special, Nico Robin and Coby's special, you should be able to plow through Garp well before his 4th turn. Helmeppo is only there as a high Stat INT unit (just FYI). The Legendary Vivi team comes back for the third time in Global. Unlike the other two Raid Bosses before, Bandai made it a tad bit harder. To beat Garp, you will need to organize something to help you return to full health after Garp's 4th hit. 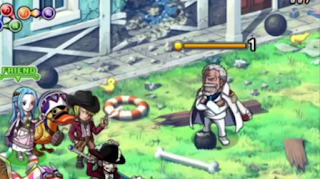 Since Garp's 4th hit does 18,000 damage, it will be reduced to 3,600 damage (which is above what Vivi can heal) thus you will not be able to tank without attention to the initial rounds of the fight. The famous INT burst team. They unfortunately do not have the best orb manipulation... However, they can remove their weakest orbs which is quite beneficial. Usually people that run these teams will reserve/save PSY orbs in the fight before reaching Garp. Thus when reaching Garp, Nami's special can be activated to great effect (leave nothing to chance). In either case... Nico Robin's boost with Coby's boost will exponentially increase the damage dealt to Garp. Hina will lock orbs ensuring at least 2 turns of great orbs. Don Krieg is merely there as a high stat unit. Special to the Max!! Top 5 Units!! [Sugofest] ~Join My Crew~ Whitebeard Batch! !